At Frank Hsu, D.D.S., we perform a wide variety of services. Our dental practice is committed to providing the most comfortable experience possible for our patients. We utilize leading-edge technology and Dr. Hsu, and his team has attended thousands of hours of post-graduate education courses and seminars so that our patients always benefit from the latest and most advanced services. We are also constantly expanding our services so that more and more services can be done in our office, which saves our patients time and money. Here at Frank Hsu, D.D.S. in San Carlos, CA we are very proud to offer a wide range of dental services to our community! We take great pride in providing our patients with the very best in dental wellness and safe treatment of all dental issues. Please click on the links below to learn more about what we offer! It is said that prevention beats a cure, and of course, we agree. It is much better to prevent dental maladies from occurring in the first place than to have to find a way to fix an issue after it has happened. We offer a wide range of preventive dental options that are proven to keep your teeth healthy and happy for years to come. Prevention is great, but accidents happen, and when they do we are prepared for every eventuality! With restorative dentistry, we can fix oral health maladies like cavities, missing teeth, damaged teeth, gum disease, and more. Everyone is familiar with dental fillings, but do you know what an inlay is? Check out our restorative dental options to learn more about how we can help your mouth achieve greater health. The temporomandibular joint (TMJ) can be a big hassle when things go wrong in your mouth. If you have ever experienced TMJ issues, you know that the jaw can be a constant source of irritation, soreness, and even pain. Let us help you with all your TMJ issues with TMJ therapy. If you or a family member have issues with teeth alignment but aren’t interested in big, ugly brace, we have the solution for you! Invisalign provides a great way to straighten teeth without the metal brackets and wires of braces. We use a series of trays to gradually move your teeth into alignment. These trays are made of clear plastic so no one will even be able to tell that you are wearing them. 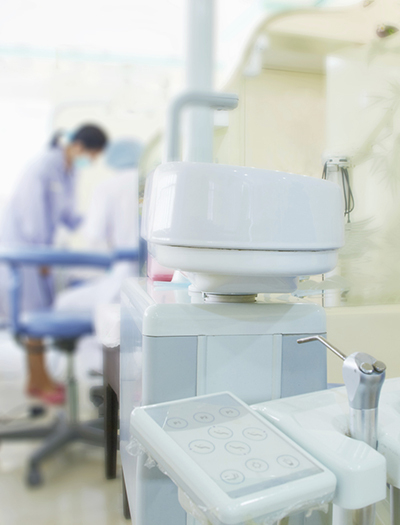 We understand that the dental office isn’t everyone’s favorite place – it makes some people nervous. For this reason, we have gone out of our way to provide an inviting and relaxing environment for our patients. We also offer sedation dentistry for those who would like to have a relaxing dental experience.